This easy no-sew bean bag tutorial was written as part of my Let’s Play ambassadorship. Even though I am being compensated, I fully believe in the initiative. All opinions are my own. As we are nestled in the middle of summer, the amount of times I hear, ‘I’m bored’ from my kids is exponentially increasing. The boys can be happily entertained one minute, then in the blink of an eye extreme boredom appears. It’s no secret; themed activities and snacks are a huge hit around my house. It gets the kids excited and gives me the opportunity to get creative with our activities and food. 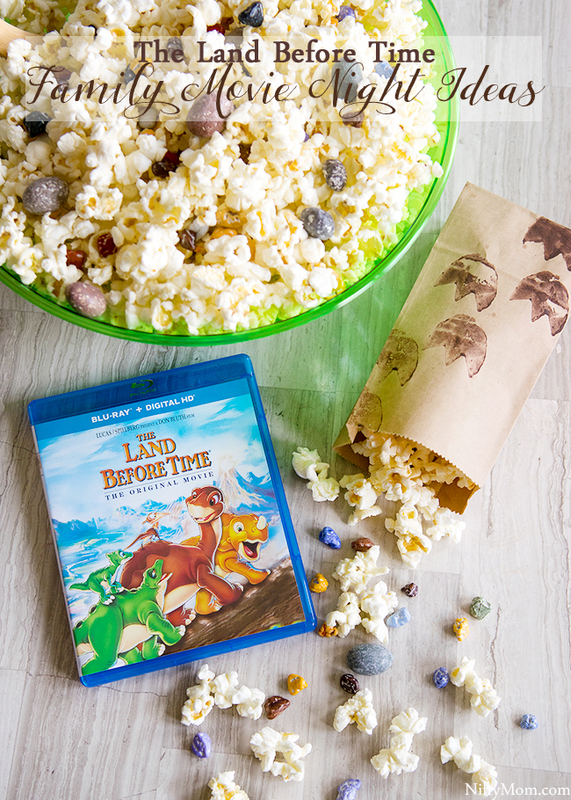 Our most recent theme was one of my favorites: The Land Before Time family movie night. It’s almost time!! You do know what I’m talking about, right? 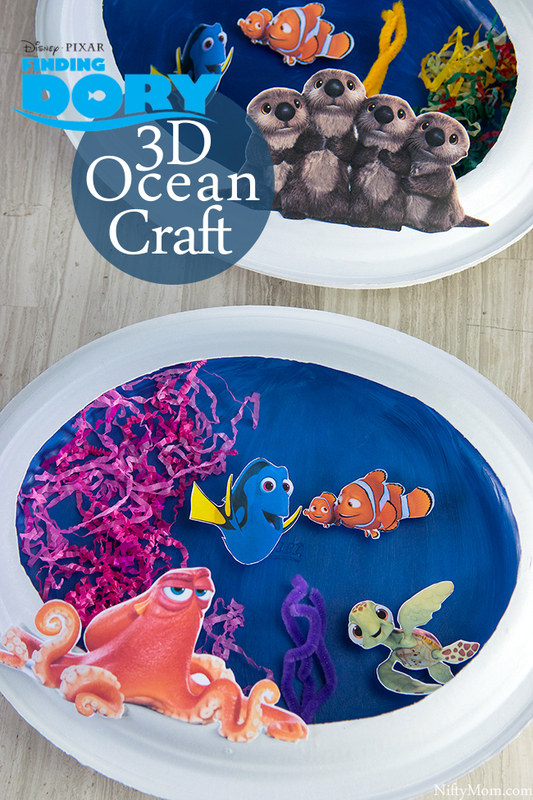 It’s almost time for FINDING DORY to swim into theatres everywhere! June 17th is the big day and while we wait, I have more fun activities to share with you. Bringing education into the home is more than just helping my first grader with his homework. 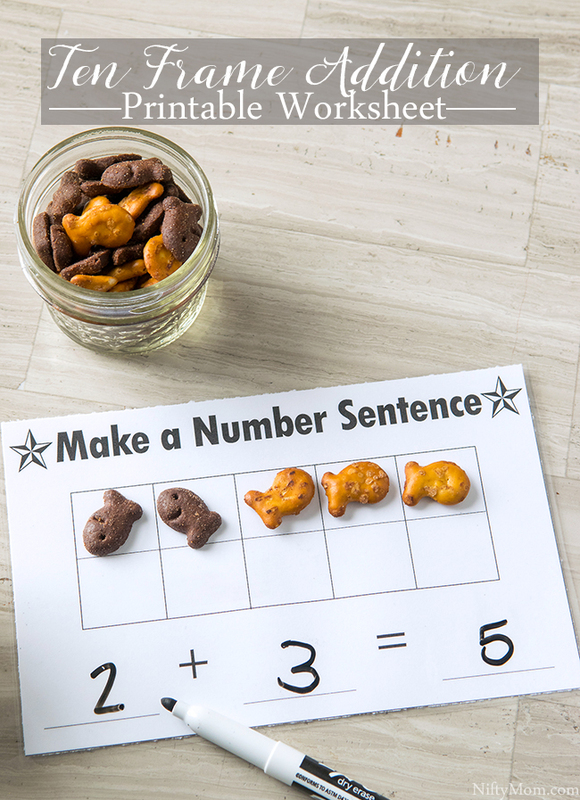 I like to create activities and get my preschoolers involved at the same time. I have found one of the best times to sneak in some learning is at snack time. 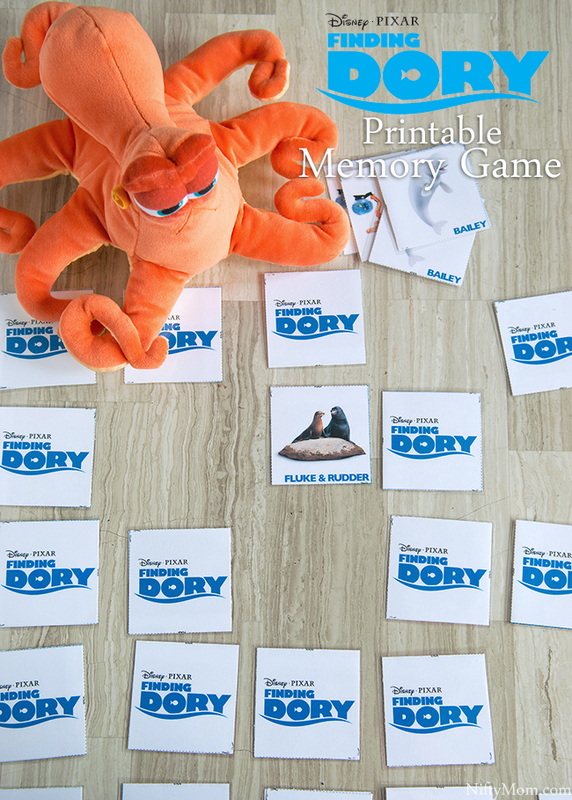 It’s hard to believe that FINDING NEMO was released almost 13 years ago. It is a family favorite in our house. 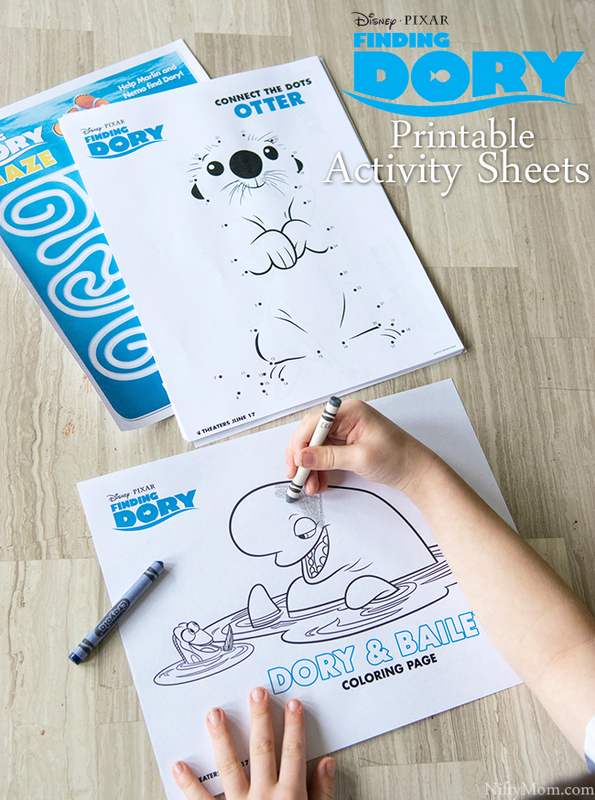 As we are gearing up for FINDING DORY to open in theaters on June 17th, we are enjoying these FINDING DORY printable coloring pages and activity sheets. 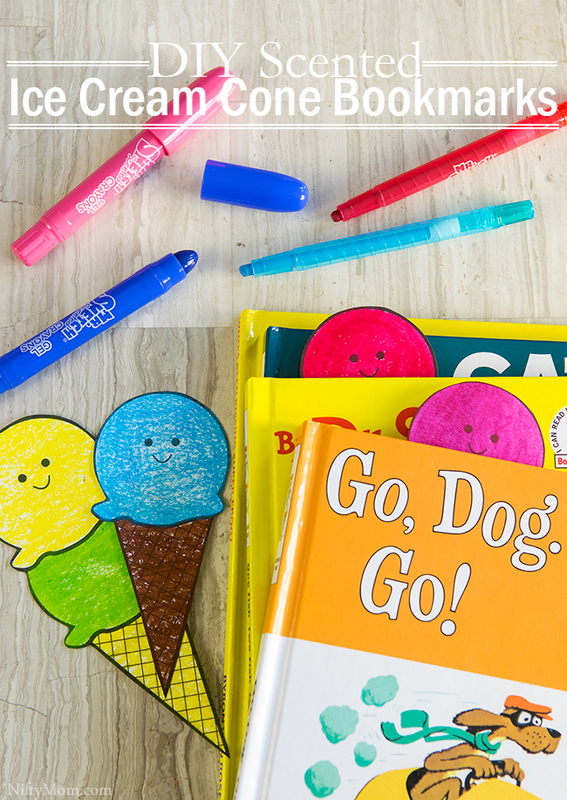 I’m sharing Ice Cream Cone Bookmark Printables with #MrSketchScentedCrayons as part of a Mr. Sketch sponsored series for Socialstars™. All opinions are my own. Reading, coloring, drawing and storytelling are always part of my daily activities with the boys. Now that my 6 year old son is reading chapter books, he’s always trying to find a bookmark. Either it got ruined, his younger brothers took it, or it is simply misplaced.